An extraordinarily fascinating and moving disposition on the meaning of life and particularly of death. For the first time, Hamnet, son of William Shakespeare steps out from the shadow created by his famous father to ruminate on the world he knew and the parent he didn't. This U.S Premiere of Dead Centre's impressive multimedia production features a stunning performance from young Irish actor Olly West as the titular Hamnet, as he gives a voice to one of Shakespeare's greatest lost creations. 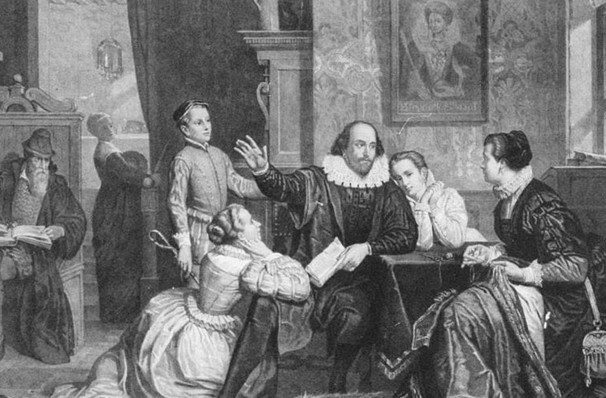 Dying at 11 years old in 1596 in Stratford whilst his father was enjoying the height of his fame in London, scholars speculate that Hamnet likely didn't get to know his dad very well, a theme that can be picked up on in Shakespeare's later writings. When Hamlet was published in 1599, it was widely thought that the name was a tribute to his late son. 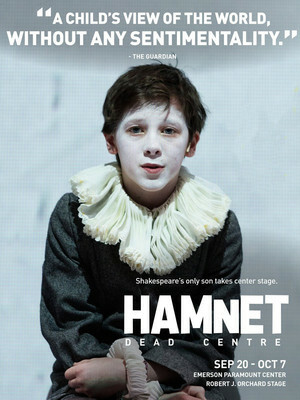 With little known about the real child, Ben Kidd and Bush Moukarzel have interpreted some of The Bard's writings to create a narrative for Hamnet that explores how we live and how we think about death and the adventure after. Seen Hamnet? Loved it? Hated it? Sound good to you? Share this page on social media and let your friends know about Hamnet at Emerson Paramount Center. Please note: The term Emerson Paramount Center and/or Hamnet as well as all associated graphics, logos, and/or other trademarks, tradenames or copyrights are the property of the Emerson Paramount Center and/or Hamnet and are used herein for factual descriptive purposes only. We are in no way associated with or authorized by the Emerson Paramount Center and/or Hamnet and neither that entity nor any of its affiliates have licensed or endorsed us to sell tickets, goods and or services in conjunction with their events.